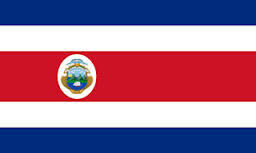 Costa Rica is a Central American country, rich in rainforests and sunny beaches. A quarter of its area is made up of protected jungle, offering animal lovers and adventurists an unforgettable experience. So what are you waiting for? Embark on the adventure of your life and let TCE help you by taking care of your money matters. The Colon is the official currency of Costa Rica and is named after Christopher Columbus. The symbol is ₡. Each Colon is divided into 100 centimos. The banknotes are very unique and colorful. The face of someone of political, cultural or economic significance is printed on one side and the back is adorned with an illustrated ecosystem. TCE offers its customers superior and unmatched exchange rates, which are unavailable in any other bank and exchange bureau in Canada. Our expert and customer-friendly services ensure customer satisfaction. TCE offers its customers the ease of ordering through the online system. You just have to make a payment using your Interac debit card and opt for home delivery, making it time efficient. The home delivery is through Canada post within two business days.